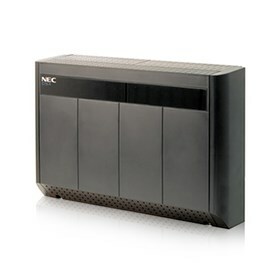 The NEC DSX-160 (1090003) is an 8-Slot KSU Common Equipment Cabinet for the CPU, 8 universal card slots and up to 3 system power supplies. It provides 160 ports and is wall-mountable, has a flip off cover and removable side panel for easy access. It also has a translucent panel in the cover for getting essential system status and troubleshooting at a glance. The NEC 1090003 has many exciting features for users of all types. The NEC 1090003 is sold as a Brand New Unopened Item.